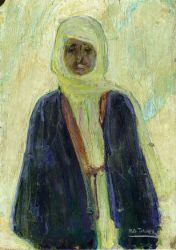 Henry Ossawa Tanner (June 21, 1859–May 25, 1937) was an African American artist best known for his paintings of religious subjects, genre scenes, and portraits. He was the first African American painter to gain international acclaim.Tanner is often regarded as a realist painter, focusing on accurate depictions of subjects. 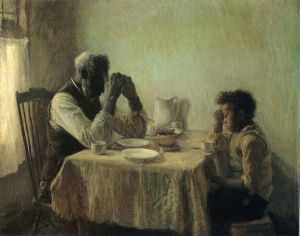 While his early works, such as "The Banjo Lesson" were concerned with everyday life as an African American, Tanner's later paintings focused mainly on the religious subjects for which he is now best known. It is likely that Tanner's father, a minister in the African Methodist Church, was a formative influence in this direction. Henry Ossawa Tanner, The Annunciation, 1898. Oil on canvas, 57" x 71 1/2". 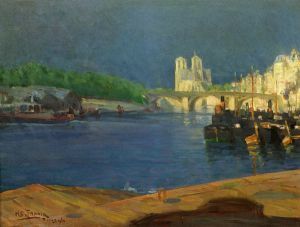 Philadelphia Museum of Art.Tanner's body of work is not limited to one specific approach to painting. His works vary from meticulous attention to detail in some paintings to loose, expressive brushstrokes in others. Often both methods are employed simultaneously. The combination of these two techniques makes for a masterful balance of skillful precision and powerful expression. 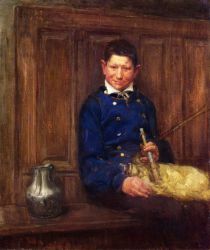 Tanner was also interested in the effects that color could have in a painting. Many of his paintings accentuate a specific area of the color spectrum. Warmer compositions such as "The Resurrection of Lazarus"(1896) and "The Annunciation"(1898) exude the intensity and fire of religious moments. They describe the elation of transcendence between the divine and humanity. 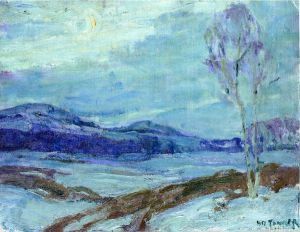 Other paintings emphasize cooler, blue hues. Works such as "The Good Shepard"(1903) and "Return of the Holy Women"(1904) evoke a feeling of somber religiosity and introspection. 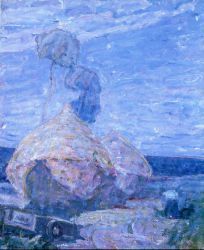 Tanner often experimented with the importance of light in a composition. 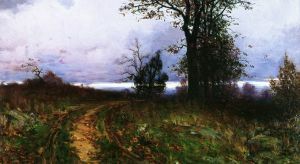 The source and intensity of light and shadow in his paintings create a physical, almost tangible space and atmosphere while adding emotion and mood to the environment.